How many times have you heard someone say that it’s a grandparent’s right or duty to spoil and indulge their grandchildren? I heard it from one set of my grandparents growing up. They took me hunting and fishing and my step grandmother made the best fried chicken I ever had and sadly, I was never able to get her recipe from her. She also made the best fresh peach ice cream you ever tasted. She was a tiny woman, barely 5-foot-tall, but in my eyes, she was much bigger, especially the day she chased a black bear out of our campsite with stick. That woman wasn’t afraid of anything. One-time deer hunting, she spent hours tracking a wounded deer and didn’t give up when it got dark. We finally found her along the trail with her deer hanging in a nearby tree. When my girls were little, their one set of grandparents loved to spoil them, giving them things that we as parents wouldn’t normally give them. My wife’s mom couldn’t stand to see them whine or complain so she would often give them things to keep the peace. Now that we are grandparents, we find it easy to spoil and indulge our granddaughter, even though there are other times that we have to apply some tough love. Our granddaughter is often hungry and my wife (grandma) readily feeds her a number of different treats. Our granddaughter is now 15 and on the edge of being obese, but it’s still hard for grandma to say no to a little treat here and there. 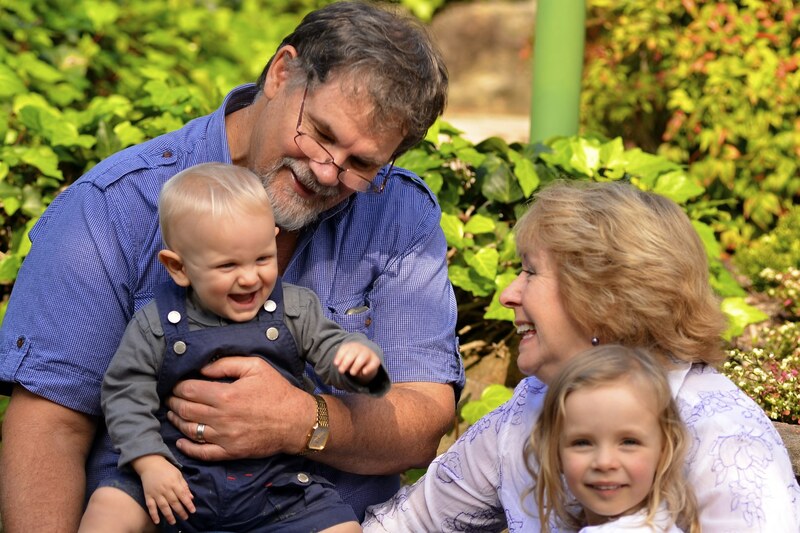 Are indulging grandparents really doing any damage by loving their grandkids? In a world where obesity is at epidemic levels along with child obesity, we grandparents need to start loving our grandkids differently. If feel compelled to give them a treat, make it healthy like some fruit, carrots or celery stalks to chew on. We also need to get off our own duffs and do things with them to give them and ourselves some much-needed exercise. It’s okay to indulge them not so that it bulges them.